Does your company use PDF files? Portable Document Format has become the leading method of capturing and sharing data between two or more parties. Millions of PDF files are created every day and used for invoicing, memos, research, and a myriad of other administrative and operational tasks. PDF has changed the way businesses communicate and share data. The file format of a PDF is unique in the sense that the file is independent of the system hardware, operating system, and software applications. This means that it can be opened on any PC, laptop, or mobile device. Here are five benefits of using PDF files in your business. Capturing your data onto a PDF form or file will preserve the original integrity of the document. One of the most distressing things about using Word or Excel files is that they can be altered by third parties, compromising the data. With PDF files, this is not possible, PDFs cannot be altered in any form and if they contain sensitive data, they can be locked via password to ensure the credibility and authenticity of the document. Learn how to how to esign pdf files and upload them to your company's OCR system where they are safely stored. PDF files are a truly portable data file that can be opened on any mobile device. 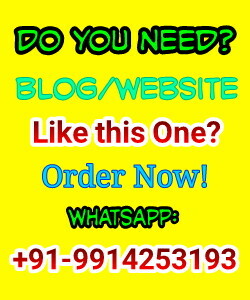 As long as the device is loaded with the right software, the files can be opened wherever and whenever you like. 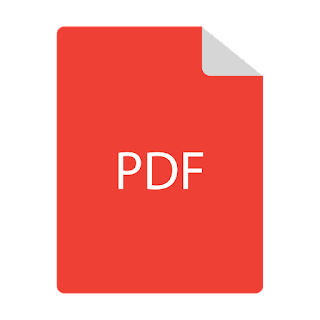 There is a multitude of free PDF tools available to download, enabling you to read and create your own PDFs at any moment. Now you have the ability to work while you are sitting in the coffee shop, in front of the TV, or even when you out at the mall. Today’s online environment can be compared to the wild west, totally unregulated with no policing. Privacy and security have fast become very sensitive topics that need to be directly addressed to improve your company's online security. PDF files are great for anyone concerned about online security and privacy when transferring sensitive files. PDF files allow you to encrypt the document and password protect it, ensuring that your document arrives at its intended destination and only opened by the designated recipient. PDF’s can also include other digital functions such as esign, signing your signature to the document electronically. Do you create documents with visual aids or music soundtracks? PDF files support document functions such as tables, graphs, images, and hyperlinks. You can attach music files and text notes to the document. PDF’s are also used to create interactive forms that are easily completed and then exported through the company's OCR system to the central database where it can be accessed by anyone on the team. Have you ever tried to send a Word or Excel document by email, only to be told that it is far too large to pass through the server system? It’s a common problem with an easy fix. PDF files can be compressed from the initial raw data that has been created. This function is especially useful for documents that contain large images, or music files. PDF’s allow efficient and effective compression of the document to a much smaller size, making it easy to email. If you aren’t using PDF’s in your business, then it’s time to get onboard with the digital revolution and change the way your business operates. PDF’s have so many advantages when they are used effectively, download a free PDF reader or creator and play around with it to discover the huge potential this file system has for your business. Add PDF technology to your company and consider implementing an OCR into your company's systems to unlock the true power and benefits of technology in your business. Message: I hope that you have enjoyed 'How PDF Technology can Revolutionize Your Business' article on Tips2secure. However, if you want me to deliver more items, then please share my post. You can use Social Sharing Widget provided at the end of every post. After all, Sharing is Caring!